In all of our years, and when I say "our" I mean any one born 1980 or after, we have never seen a self sustainable music scene in the Northwest. Not in any genre. Even the polarizing grunge era didn't latch on enough for there to be some type of continuous farm of DIY bands sprouting from the soil every couple of years 2 out of every 10 crossing the threshold of popular success or at the least Billboard prominence. The struggle has always been the lack of industry here in the Northwest. There have never been enough venues, radio stations, record labels with well oiled global distribution channels, industry standard recording facilities - FESTIVALS. It takes constant opportunities for artist spotlighting to develop the type of focused audience attention you only find in the major playing fields, LA, NY, Nashville and they decide the wave and break the new sound. According to well respected music journalist and Northwest native, currently living in Nashville, Ann Powers it's going to take developing albums start to finish here in the Northwest - especially recording. She was asked about Upstream on radio show late last year, I like her insight I think she's correct so I'm grateful to Paul Allen's team for putting together something so special. 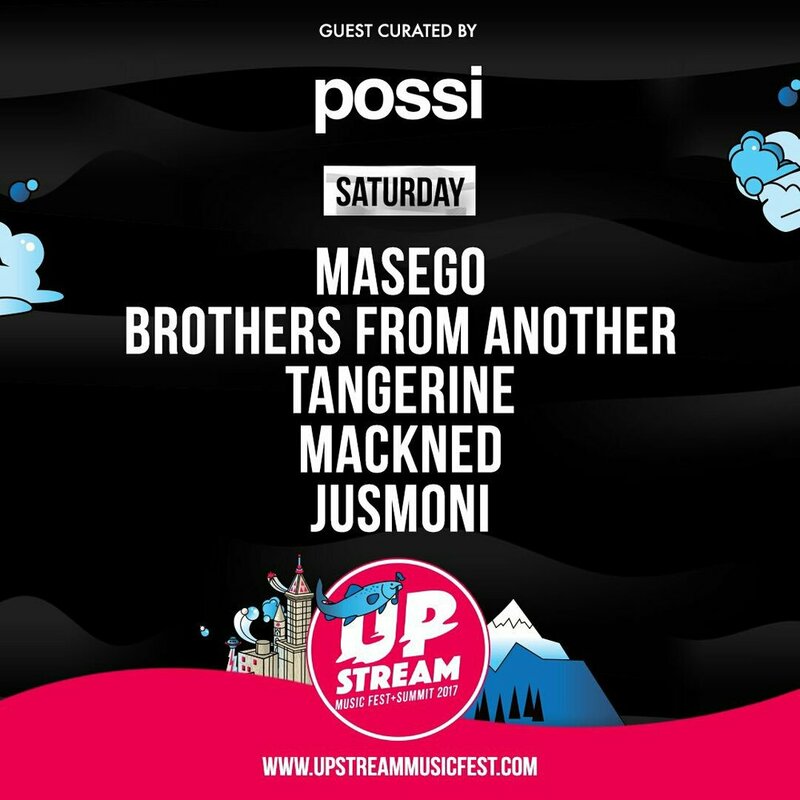 Upstream's function is to be the catalyst for showing the value of artists in there Northwest, creating demand and eventually profit artists can live off of in the Northwest by showcasing all the talent that is industry standard next to industry artist. It's genius and selfless coming from so high up the economic food chain. And you have to look at it from Ms. Meli's perspective to see that but like she commented on it some time ago in a City Arts interview that you have to look at who was chosen to curator the stage curators and facilitate getting the worthy and working emerging artists involved. My personal favorite part of all the excitement are the early comparisons to SXSW. Usually the thought of too-early-to-tell comparisons can kill or over hype expectations but thinking about the type of tourist audience that is to be captured in the years to come is intriguing. And a leader like Ms. Meli heading the charge allows my mind to lean toward the presumptuous thought that no matter how abroad an audience the festival gathers it's booking at the core will remain 70 percent Northwest. That was their goal going into this and after squinting to read 100+ names that I realized I'll take their word for it on the rest. 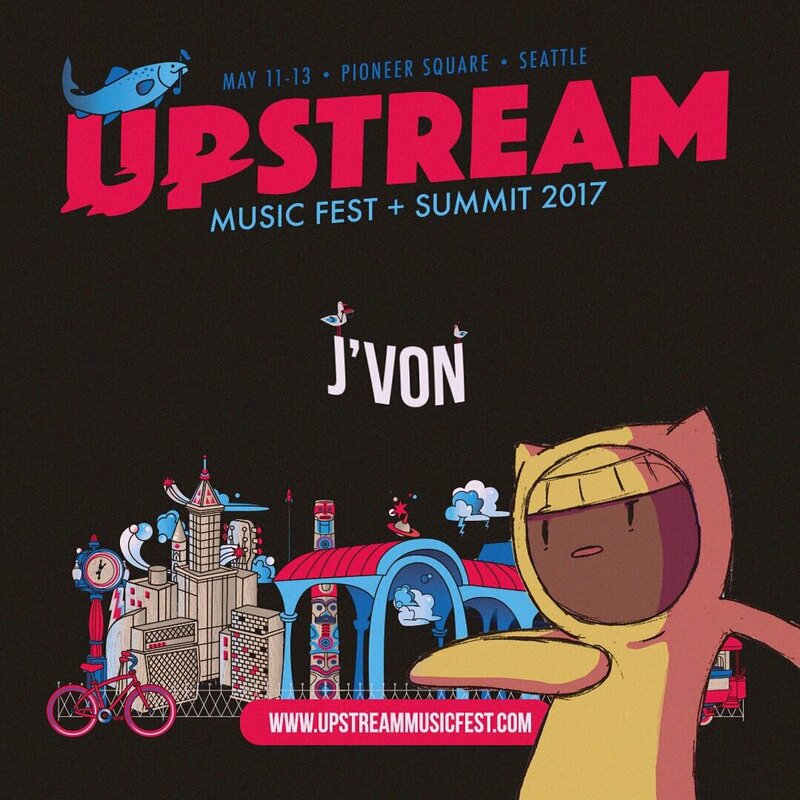 J'Von is one artist I have been waiting to see in the right setting. Looking forward to this experience. The other exciting portion of Upstream are the panels, discussions, demonstrations and networking opportunities. This means plenty of opportunities for artist and hopefully the minions that sit in the green room to learn the business and how to be industry standard. Artist management is an issue everywhere but imagine resourceful Northwest minds utilizing the skills they learn from expert panels to help their friends book shows and prepare proper press kits. Oh what a land of music business literacy would be.